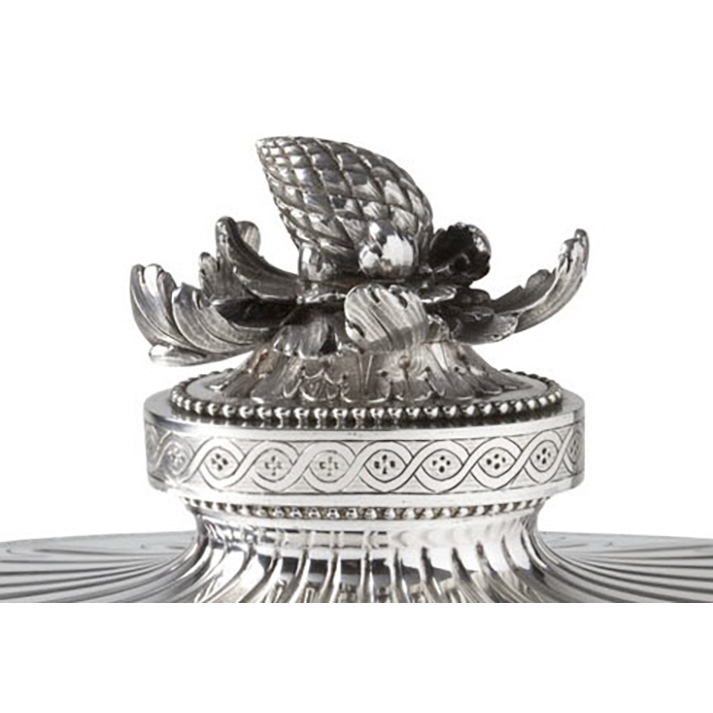 Martinus Logerath, born in The Hague in 1733, as son of silversmith Johannes Logerath and Johanna Wilhelmina Buys, was trained as a silversmith. Unlike his brother Johannes Hermanus, he chose not to stay in The Hague, but opted for Amsterdam, where he became member of the guild in 1767. With his wife Sophia Harthoorn he lived at Lauriergracht. As of 1786 he had his workshop at Egelantiersgracht and was also a supplier for Diemont, a retailer in silver objects in Amsterdam. 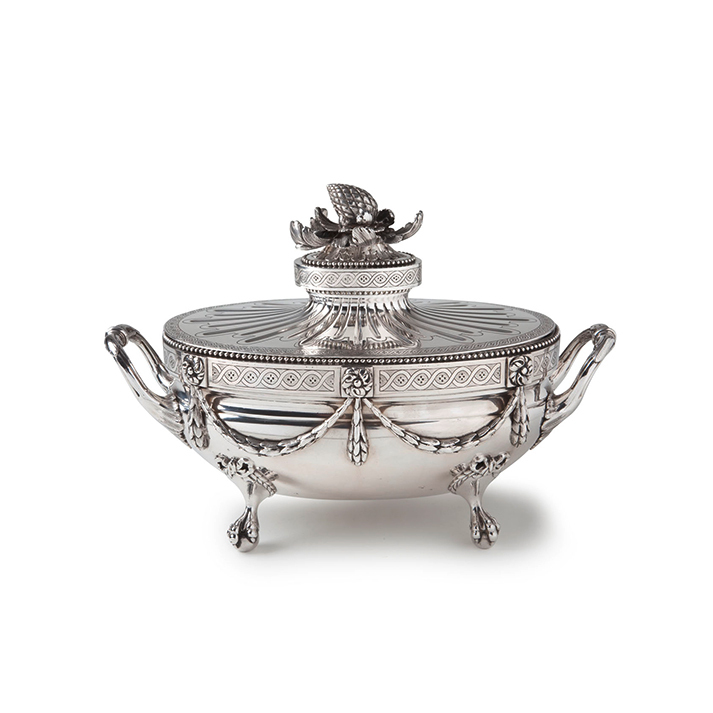 The influence of French masters like François Thomas Germain is obvious in this tureen. 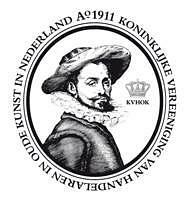 Until 1790 Amsterdam silversmith were inspired by French designs. 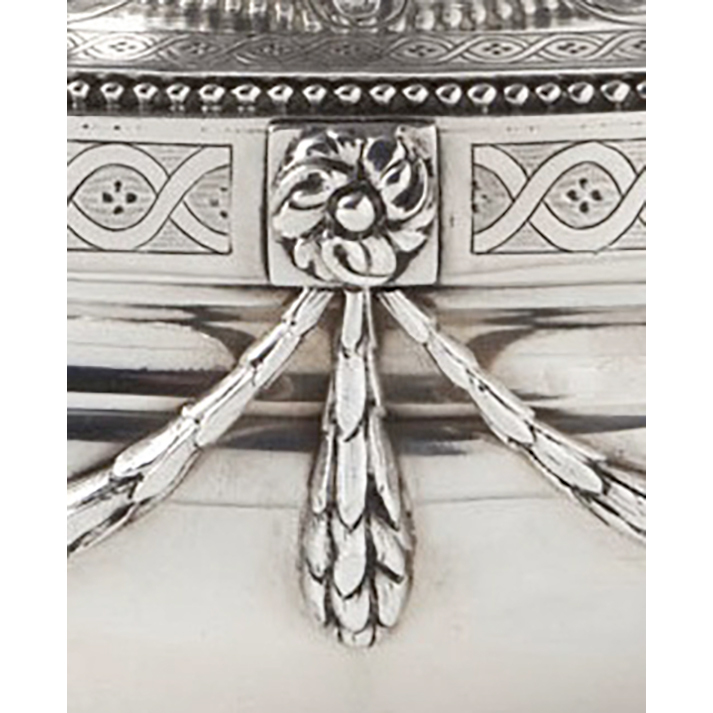 It is known that Diemont, however, imported English silver and as a consequence Amsterdam masters became inspired by English designs as well.